First line: My lids fluttered open, but the floodlights blinded me for a moment. Summary: Hedy Kiesler was a young actress in Austria in 1933 when she meets Fritz Mandl, a munitions manufacturer. Her parents urge her to marry him in order to keep her safe with the threat of Nazi Germany looming over much of Europe. However, married life is not what she imagined. 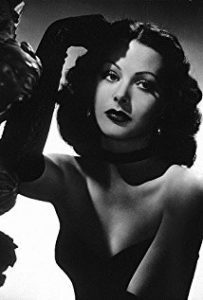 After fleeing her husband and the coming war, she travels to Hollywood and becomes the famously beautiful, Hedy Lamarr. As the path to war progresses, Hedy is determined to help save as many people as she can, even with very unconventional ways. Highlights: Going into this novel I knew next to nothing about Hedy Lamarr. The one interaction with her was on the show, Timeless. I think this is one reason that I devoured this book. I did not know what to expect. Many authors have been taking readers back to the golden days of Hollywood but this is by far my favorite! 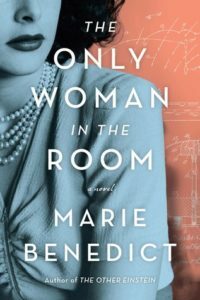 Marie Benedict does a fantastic job of blending truth and fiction. Hedy is not the normal Hollywood actress. She had other interests and was very intelligent. Her work on the guidance systems for torpedoes was leagues ahead of anyone else. It took months of work but she was not taken seriously by the men of the time. The technology is still used today in cell phones! Even though she has been called the most beautiful woman in the movies she wanted to be defined by more than that. After finishing her story I picked up the documentary, Bombshell, which goes past Benedict’s narrative but is a great companion to it. As with all the other Hollywood stories, I had to interlibrary loan several of Hedy’s movies. I cannot wait to watch them! Lowlights: At first I was irritated that we spent such a long time in Austria and centering around her life with her husband as I read though the pacing made more sense. When Hedy arrives in the United States, she feels the guilt of leaving behind her loved ones. In addition, the knowledge she gains from her time with her husband help inform her for her inventions. I was sad that it ended so soon when there was still so much of her life to live but I think that now I have had time to reflect that the author made a good choice of ending it where she did. FYI: If you enjoyed this than try books by Susan Meissner and Melanie Benjamin.